I've always believed that if you stay open in life, good things will happen. I had no idea what starting my own business would bring about, and everyday is honestly a new and exciting adventure. I'm still excited about every single milestone and creative venture that comes my way. Recently, I was asked by local photographer, Cavin Elizabeth, to collaborate on the cover and photo spread for her newly launched book, 'A Bride's Guide to a Picture Perfect Wedding'. 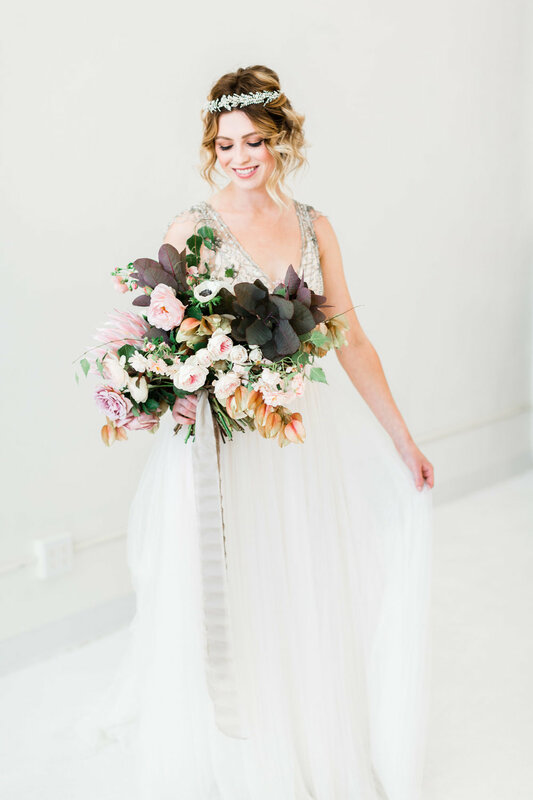 I'm excited to share with you the gorgeous book that's available on Amazon, and the recent feature of the shoot on favorite wedding blog, Style Me Pretty. Cake | Hey There, Cupcake!